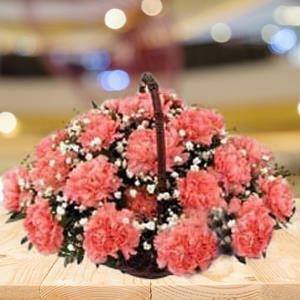 The perfect way to express your wishes, this bouquet features 24 pink carnations wonderfully arranged by RGCards.com. You can be sure your recipient in India will adore this lovely selection of heartfelt wishes. Other Gifts to India can also be sent to add beauty to the gift.